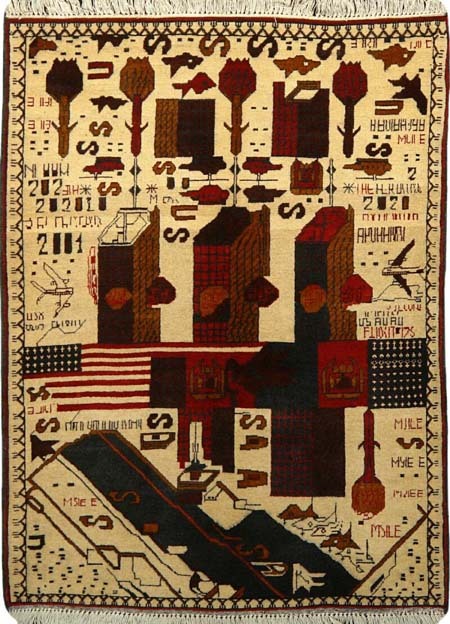 This is a version of the Twin Towers war rug which appeared without source on the internet. Rugs of War would very much like to track it down. Anyone know of a copy?